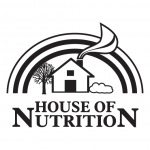 House of Nutrition first opened it's doors in 1977 and has been serving organic, natural foods and holistic medicine to folks living in the Wyoming Valley and surrounding areas since. We carry a wide variety of groceries that cater to special needs including raw food, allergen-free, and gluten-free diets. Our gift cases showcase local craftsmanship and fair trade merchandise from around the world. Mill Hollow prepared foods and Bakery were added to the family business in 2004 and continue to thrive offering an array of organic and vegan homemade options.